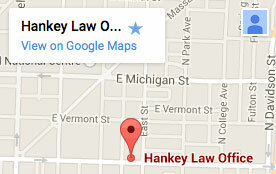 Hankey Law Office > FAQs > What is the importance of an appeals hearing? What is the importance of an appeals hearing? An appeals hearing with a judge is an essential part of the appeals process. This hearing will generally be scheduled by you and your attorney when you have prepared all of the appeal paperwork for your rejected Social Security disability benefits claim. In this appeals hearing, you will have a private audience with a judge who will review your appeal. This private audience is the critical aspect that makes appealing a rejected claim better than filing a new application. To have the best chance at getting the financial assistance you need, contact an experienced Indiana long-term disability lawyer of the Law Office of Charles D. Hankey, P.C., today by calling our office at (800) 520-3633.